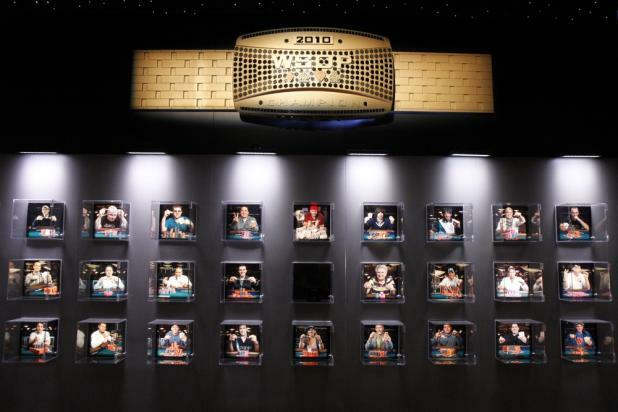 Joanne "J.J." Liu has had a fantastic WSOP, with two top-seven finishes and more than $110,000 in earnings, and she is tied with Jennifer Harman as the highest-ranking female on the WSOP Player of the Year leaderboard. On Day 3 of the WSOP Main Event, Liu received flowers (presumably from her husband Dan Alspach) that sit on the floor next to her while she plays. 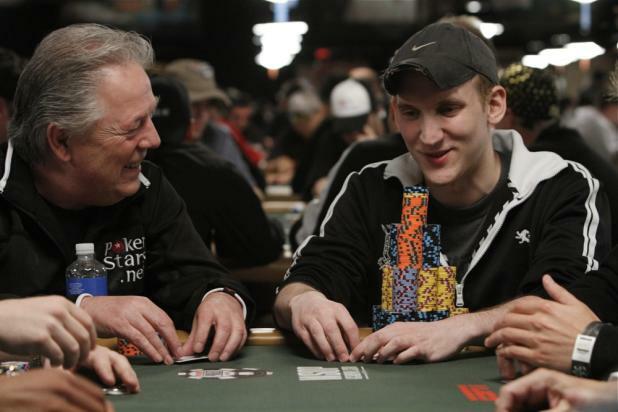 About halfway through Day 3 of the WSOP Main Event, Thor Hansen (left) has a below-average stack of 52,500 in chips (32 big blinds), while Jason Somerville is riding high with about 355,000 (221 big blinds). 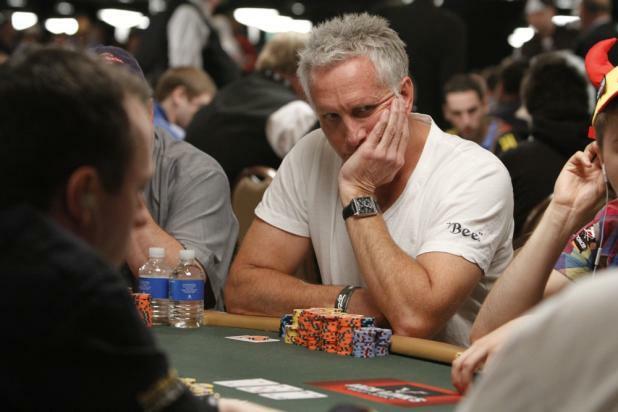 Hansen is a legend among Norwegian poker players, and has cashed in the WSOP Main Event for three straight years leading into this one. Somerville has never cashed in the Main Event, but he has two fourth-place finishes at this WSOP, in the $10,000 Heads-Up No-Limit Hold'em event and the $25,000 Six-Handed No-Limit Hold'em event. Kevin Gates is the first player in the 2010 WSOP Main Event to cross the half-million chip mark, after winning a huge hand against "CrazyMarco" Marco Johnson (not pictured). With the board showing Qs-10d-6d-10s on the turn, Johnson moved all in for about 22,500 and Gates called all in for his last 195,000. Johnson had Qd-Jd for two pair with a flush draw, and Gates had Ks-Qh for the same two pair with a higher kicker. Johnson missed his outs on the river, and Gates won the biggest pot of the tournament (so far). When this photo was taken, Gates had about 511,000 in chips, and was still chipleader nearly two hours later. Jennifer Harman is down to a short stack of chips (less than 25 big blinds) as she scans the rest of the field in the Pavilion Room on Day 3 of the WSOP Main Event. With more than 2,200 players remaining, Harman still has a long way to go before reaching the final table. 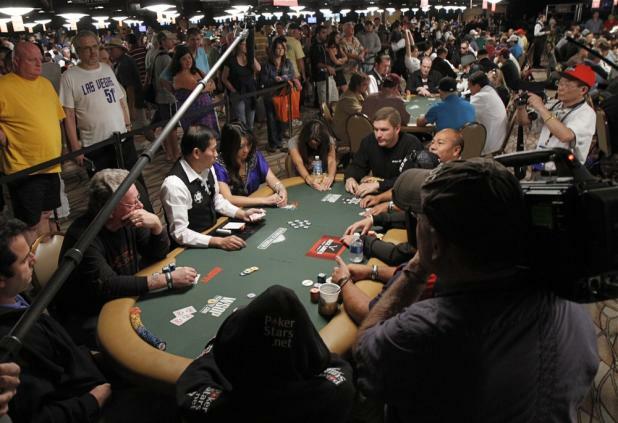 With her back to the rail on Day 3 of the WSOP Main Event, Maria Ho's table attracts a lot of attention, both from fans and ESPN's cameras. 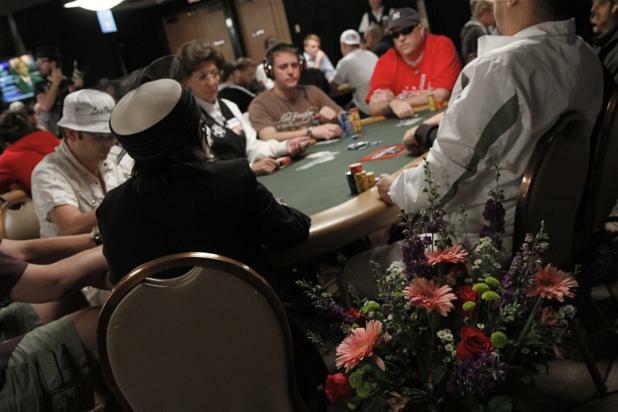 Maria was the last female standing (figuratively speaking) in the 2007 WSOP Main Event, when she finished 38th. Unfortunately, Maria won't be able to match that run this year, as she busted during the second level of the day. In the early hours of Day 3 of the WSOP Main Event, Johnny Chan is among the chipleaders with about 355,000 (about 295 big blinds). 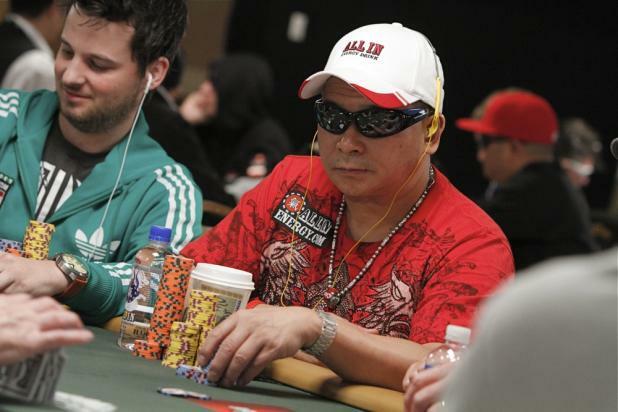 Once considered the best poker player in the world (highlighted in the 1998 film "Rounders"), Chan could use a deep run in the WSOP Main Event to get himself back in the spotlight. 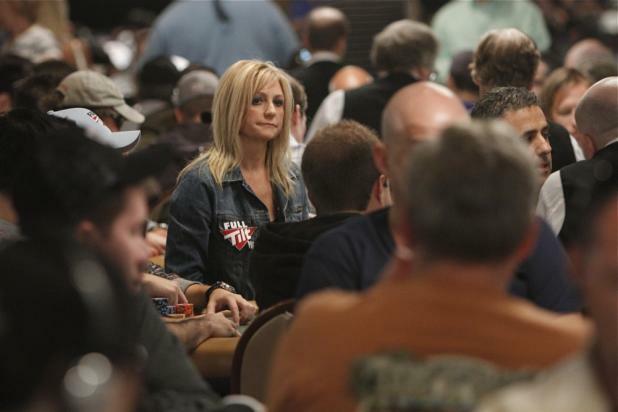 Lauren Kling is among the chipleaders in the first level on Day 3 of the WSOP Main Event. Her stack of about 192,000 is worth 192 big blinds, giving her plenty of room to maneuver. 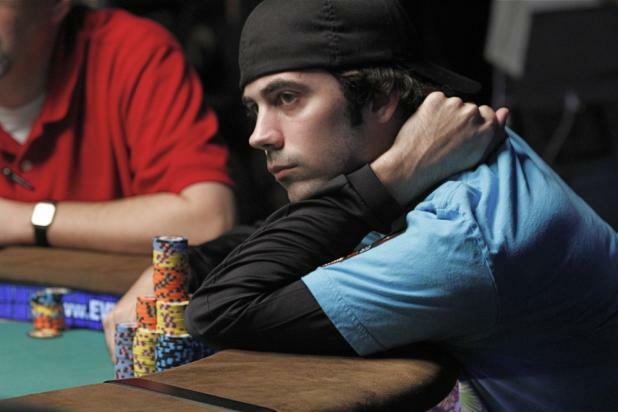 Jason Mercier is one of the hottest young players in the poker world in the past few years, earning nearly $5 million in live tournaments since winning a European Poker Tour event in April 2008. 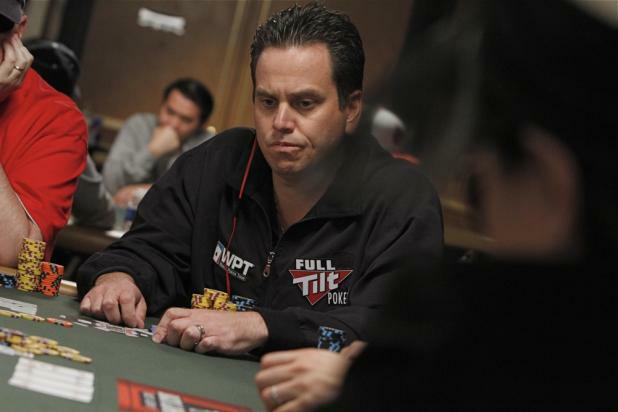 Mercier won a WSOP bracelet last year, and final tabled the WSOP Europe Main Event, finishing fourth. Mercier plays in big cash games and has a lot of success online, and ESPN currently ranks him as the second-best poker player in the world -- behind perennial front-runner Phil Ivey. With all this success, Mercier is still a relative unknown to casual poker fans, though his appearance at ESPN's secondary featured table on Day 3 of the WSOP Main Event should give him more of the recognition he deserves.